Pressure cookers have become the ultimate tool for smart cooking and they are an indispensible part of every domestic kitchen today. The steam build up inside the utensil quickens the process of cooking to a great extent and thereby helps save up on cooking fuel. Requiring less oil, it is also a rather healthy choice, because of which the fast moving crowd who is highly health conscious holds it with high regards. 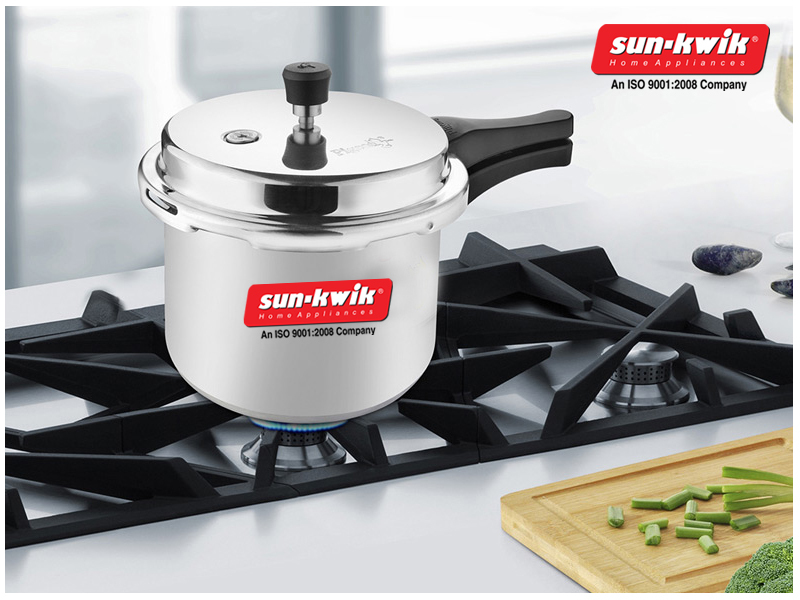 Getting a cooker induction base is no longer a choice but a necessity in urban areas. But even though it is a pretty common element, a lot of people are not particularly familiar with the intricate design which goes behind it. Let us now look into some lesser known accessories and see how they make the pressure cooker work. Pressure regulation is the key to safe cooking. The vent tube is the appliance connects the exterior part of the pressure cooker to the interior environment. It is the part through which the stream is allowed to escape after sufficient pressure has already been built up. If too much grease collects inside of it that it can go kaput. Remember the old familiar whistle while your mother was cooking mutton in the kitchen on a weekend? It is because of this part that this whistling sound is produced. The vent weight sits atop the vent tube. The weight prevents the steam from escaping before it is due time. When optimum pressure that is usually 15psi- is reached, it lifts itself up and allows the excessive steam to go out of the pressure cooker. If you take the cooker off of the heat and still find it difficult to open the lid then you should gently lift the weight using a large spoon. The gasket is probably the most frequently damaged of all the pressure cooker accessories. It is usually made of rubber and silicone and it seals the lid of the cooker with the cavity of the body. It is resistant to heat but may succumb to it over prolonged usage. The gasket needs to be cleaned regularly using soapy water and occasionally with a little bit of oil around the edges. A close eye needs to be kept on it to prevent possible leaks which could lead to an accident. Getting it replaced is the best option in case of a problem and given the fact that it is rather inexpensive there is absolutely no reason to risk using a faulty gasket. If the safety valve is frozen for some reason then the pressure cooker can explode! If you detect a problem you should immediately take it off the heat and wait for it to cool down before further action. Subsequently replace it to continue using your old pressure cooker.